After getting embarrassed on their home court in Game One Monday night, the San Antonio Spurs had more than enough motivation to return the favor Wednesday night in Game Two. At first, it didn’t look like it was going to happen. The Rockets gave as good as they got—but only for three-quarters. San Antonio led 33-30 after the first quarter and took a ten-point lead into halftime, 65-55. The Rockets closed the gap to five points heading into the final quarter, 88-83. But then the worst thing that can happen to a team that lives and dies by shooting three-pointers happened. The Spurs started the fourth quarter with an 11-2 run that stretched the lead out to 14 points, 99-85. After Patrick Beverly hit a three-pointer, the Spurs went on another run. While Houston could have recovered from the first run by making a few shots, this one was the nail in the coffin—a 19-0 run that put San Antonio ahead by 30 points, 118-88, with 3:14 left to play. San Antonio went on to win 121-96. After making a franchise postseason record 22 three-pointers in Game One, the Rockets did not have near as much luck from behind the arc in Game Two making only 11 of 34 attempts. With San Antonio killing Houston on the boards (47-32), the Rockets were not able to get too many second chance baskets. James Harden was three rebounds away from a triple-double (13 points, ten assists, seven rebounds) but had his worst shooting night of the postseason (3-17; 17.6 percent). Ryan Anderson did what he could to pick up the slack (18 points; 4-5 from three-point range), but the Rockets needed so much more. It certainly didn’t help that the defense that worked so well against Kawhi Leonard in Game One was a complete failure in Game Two. 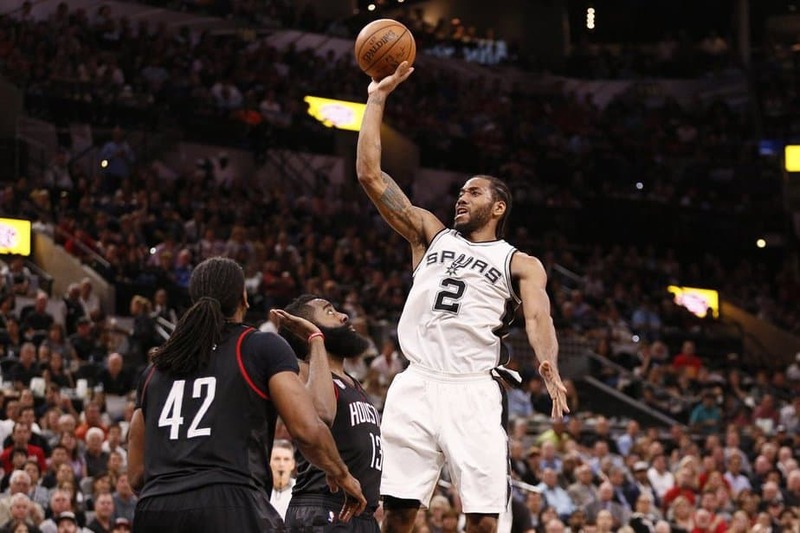 Leonard made up for going 5-14 and scoring 21 points in Monday night’s loss by missing just three shots (13-16) and scoring 34 points Wednesday night. 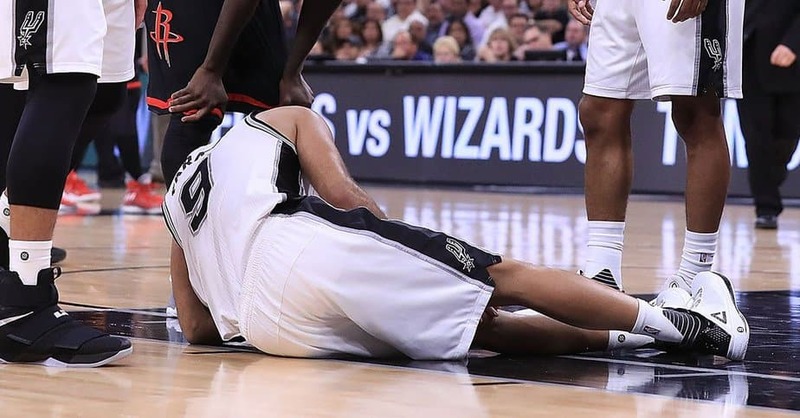 While San Antonio won the game, the Spurs may find it a lot harder to win the series after losing Tony Parker. The veteran guard went down with a nasty knee injury in the fourth quarter and had to be carried off the court. The early word on his condition is that he will need season-ending knee surgery. Parker has been playing well this postseason and had 18 points in 26 minutes before the injury forced him out of the game. Patty Mills will likely see a lot more playing time, but he will not be able to fill the leadership void. Kawhi Leonard will have to take care of that. He’ll get his chance to do so when the Spurs travel to Houston for Game Three Friday night at 9:30 PM ET on ESPN.